The nickel-plated buckle beautifully complements the black or dark brown Italian leather for a distinctively solid look. 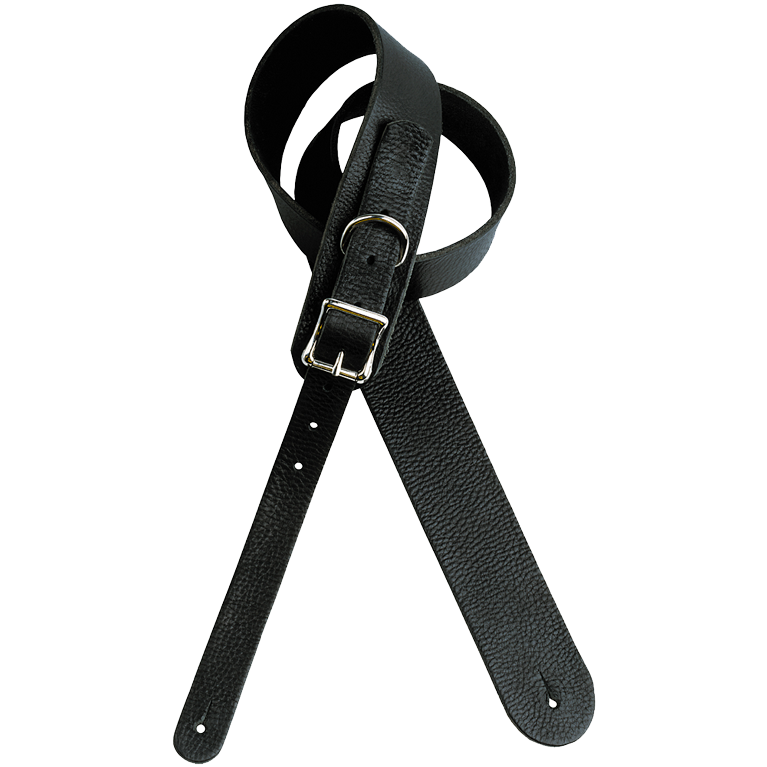 These guitar straps can be used with either the buckle or rounded side forward. The Italian tanning process gives our leather its exceptionally rich color and texture. Additionally, the skins are tumbled for a supple, broken-in feel. These guitar straps feel like an old leather jacket. (You know, the one you can't seem to throw away.) Each strap is 2 inches wide and extra thick (5/32 inches), and the bottom edges are rounded for extra comfort and embossed with the DiMarzio® logo.